Blowfish Studios has announced that Siegecraft Commander will release on Nintendo Switch next week, their action-strategy game hybrid. You must lead your army of troops across a raging battlefield while constructing a network of offensive and defensive structures that you must catapult over the war zone to strengthen their positions and help to destroy enemy fortifications. The towers that you place must connect to your other structures, making sure that they are linked to your faction’s first building. If that chain is ever broken, everything that becomes cut off will crumble. you can also enjoy local split-screen or online cross-platform multiplayer for up to four players – competing against others on Nintendo Switch, Xbox One and PC. 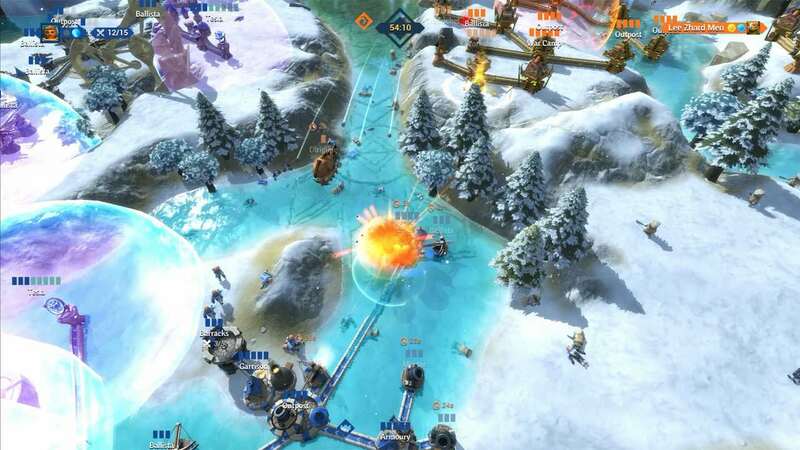 “Whether you want to engage in more methodical turn-based battles or enjoy the chaos of real-time fights, Siegecraft Commander offers strategy fans of all stripes something to love,” Blowfish Studios CEO Ben Lee explains. Siegecraft Commander will release on the Nintendo eShop for Nintendo Switch worldwide on September 19th priced at €19.99 ($19.99) and is now available for pre-order.